imageID is technology used for identifying digital images. imageID provides superior identification performance for a wide range of digital images, including webtoon works, artwork, photos, etc. imageID also identifies images that are distorted, including changes to the resolution, mosaics, partial cropping, and noise insertions.  imageID can be used in various fields such as webtoons, identification of illegally distributed photographs, identification and blocking of leaked personal pictures, promotion and marketing of images, protection of important company image assets, and image search and deduplications. Finally, a cloud-based service and client SDKs are provided for short-term integration. Image format: JPEG, BMP, PNG, TIFF, etc. Compressed format: ZIP, TAR, RAR, etc.